Finley is back on the high freq vent – slightly higher settings now to try and blow off her CO2 levels. Again, they say this is to be expected given the trauma of surgery and this was her problem from the very beginning. So it is natural that we start here again. Nurse Debbie last night said that since we got this under control last time, she would expect that as she settles in and begins to recover from surgery, this should subside again. So prayers for her to continue to stabilize and be able to eliminate her CO2 again. Pray for her body to recover from the shock of surgery and heal. Her right lung didn’t look “too good” on Xray this morning – which I think means it hasn’t expanded yet and started to work, but that can take some time as well.. So we wait. 4:47 PM UPDATE: Finley has had a pretty stable day and they are pleased with how she is doing post-op. They haven’t had to increase the vent settings any more and she is responding well – her CO2 levels are back in the 60s and her oxygen needs were even down to 38% for a while. I am hopeful that each hour, each day she just keeps getting better and maybe she’ll be able to get her first taste of breast milk in a few days. I am overjoyed to announce that Finley’s surgery went really well! The surgeon was able to do it thorascopically and he said that Finley’s vital signs and numbers were really good throughout the surgery. God is AMAZING! God is good – We are sooooo happy! The short version: She had stomach, intenstine and spleen up – but they moved down really easily. Her moderate sized hole was repaired with a plug. 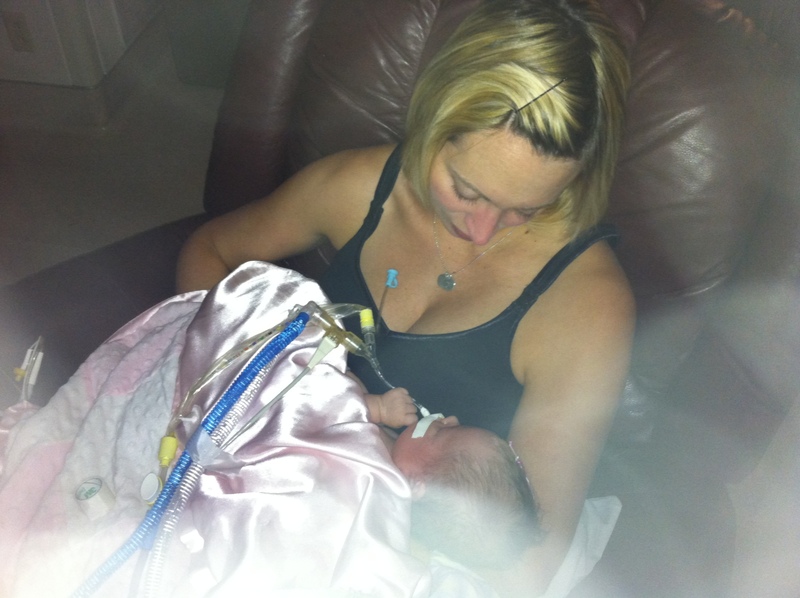 She had more lung hiding behind behind the organs – so she has a decent amount of lung!! He thinks she should have a easier recovery because of this, but of course gave the caveat that every baby is different and you can’t predict what they are going to do, but he felt very positive about the surgery and her recovery. That’s all I have in me for now – I am in shock and overwhelmed with happiness that we have made it through this second LARGE hurdle. I know we still have a lot ahead of us, but I am going to rejoice in all the blessings of today. God has truly met us in this and I have felt God’s love and his promises throughout this journey so far and I know he will continue to be with us. Thank you for all your prayers – you got us through today. We feel so loved and protected. Author lizdooleyPosted on August 30, 2010 September 2, 2010 Categories CO2, Surgery14 Comments on Successful Surgery! I got to hold my Finley for 2 hours! So happy! Surgeries have been moved around and the AM surgery before us is now at 1:00 PM, so that means we probably won’t be until late afternoon/early evening…. More waiting. But I am on Cloud 9 since I finally got to hold my baby!!! Author lizdooleyPosted on August 30, 2010 August 30, 2010 Categories Uncategorized8 Comments on HAPPINESS!! 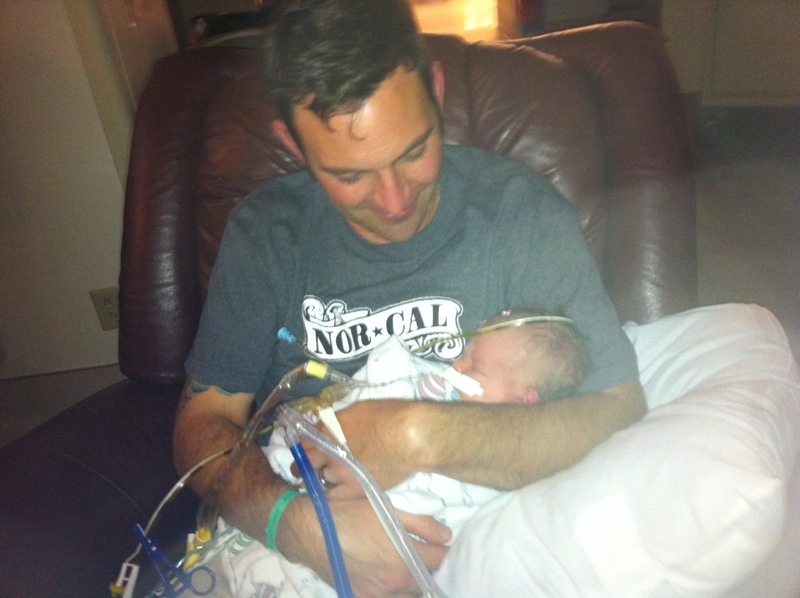 Jon got a huge surprise when he came back for 8:00 care last night – they let him hold her! I was SO jealous (but my turn is in about 20 minutes!!) Everything is still a go so far for surgery this afternoon. I know it can be called off so until they actually come and tell us they have started, I am trying not to get my hopes up. I am so thankful for all the prayers that have gotten us this far, and know that there are so many that are continuing to pray to get us through this day and to the other side of this. More soon, I am just so excited about FINALLY getting to hold my baby!! We are almost at the 4 hour mark and Dr Bliss called and said we are on for surgery tomorrow afternoon. She came off the NO amazingly well and with no issues or rebound at all, and has been cool on her side without requiring a ton more oxygen. So she is ready unless she has a huge fit during the night or morning. Her surgery is set to start at 2:00 PM, but they will take her earlier so they do all the prep stuff they need to do. Author lizdooleyPosted on August 29, 2010 August 29, 2010 Categories Uncategorized5 Comments on Surgery: Monday! UPDATE 3:30 PM – She is off the NO, and they said we would know fairly quickly if she wasn’t going to tolerate being without it (within minutes). It has been over an hour – so I think we are ok… Thank you God!! Up next is the 90 degree side lying test. We should have a good idea by this evening if surgery is going to happen tomorrow…. So far so good – Finley is now right side up and has recovered from her initial decompensation and isn’t requiring a ton more oxygen… She needs to keep this up for 4 hours- so praying, praying, and praying more.